If ever there is an area where your Hemi Parts King shines...it is fuel injection. 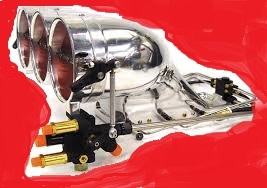 We specialize in fuel injection, both sales and service, and I will beat anyone's online advertised price for Enderle fuel injection...Call 402-597-3242 to get the right parts the first time and remember "It Pays Better To Win" and win you will with Cavalieri Racing Equipment Co.
New Enderle 600-760-110 Vane Style mechanical fuel pumps are all priced at 583.00 each. All of the following pumps are built with the same housing, and have varying vane lengths. Below is a listing of each pump and the GPM flow rate. Call 402-597-3242 to order this or any other Enderle item at the absolute lowest prices on the web. Call for more info. All 3 pumps are the same price, and we can supply belt drive systems if needed or shut-offs or??? call 402-597-3242 for the best prices anywhere on everything Enderle. All of these are the latest version with adjustable throat and coated housing. We can supply all of the other items you need to complete your fuel injection project as well as offer tuning advice, call 402-597-3242 to place your Enderle order and we will cheerfully help you any way we can. Enderle has released a brand new billet steel dual gear fuel pump series that ranges from 13.0 gallons per minute to 20.0 gallons per minute. They feature a #16AN inlet and can be used with a bolt-on or quick release clamp. 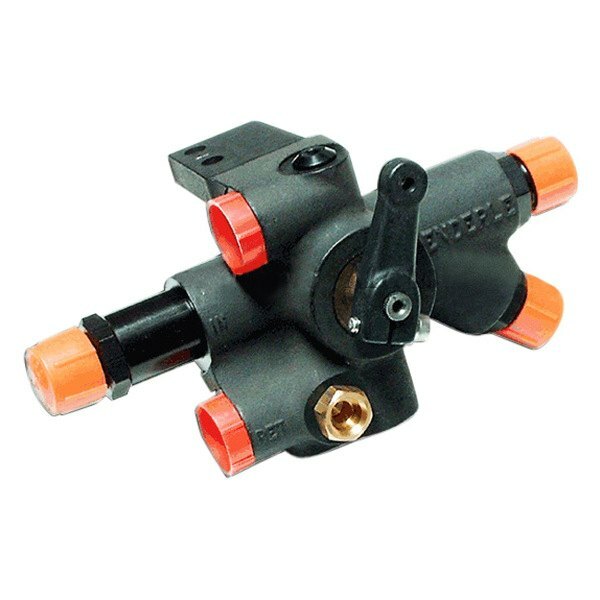 They can also be run from your camshaft or a belt drive...very flexible and priced less than the other dual gear pumps. And at our price of 1279.00 for any version...they are a low cost alternative as well. Check out the list for flow displacement and call 402-597-3242 to place your order straight away. All of these pumps ar just a tick stronger than their vane pump equivalent but have the added durability of a billet steel housing which will resist balooning at high pressure. Either way, Enderle is your best choice for your fuel injection needs. Nothing is more iconic or recognizable than the Enderle injectors. This page is dedicated to the Bugcatcher injector and you can buy it in any fashion you want from bare to fully set up for a tunnel ram or supercharger. Check us out and you will find we are the lowest cost outlet on the net for everything Enderle. Call 402-597-3242 to order yours today! Easily one of the most popular fuel injection hats available today is the Enderle Birdcatcher injector. 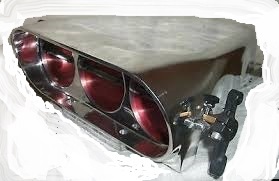 They are etremely versatile and work well in a variety of applications from tunnel ram setup's to supercharged applications and any fuel from gasoline to nitromethane. Below is a list of the injectors and prices. Color specific butterflies are available for a nominal fee, just ask. Call 402-597-3242 to place your order and remember we have the lowest prices on everything Enderle. Compare our prices and you will see that besides a lower cost, we can assist in setup for your specific application to make it a smooth process. Thanks again for looking. 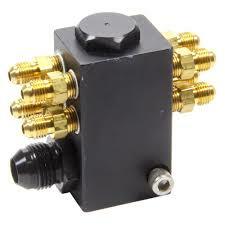 Enderle Buzzardcatcher injectors starting @ 929.00. The Enderle Buzzardcatcher injector is the largest of the 3 cast aluminum standard height injectors. 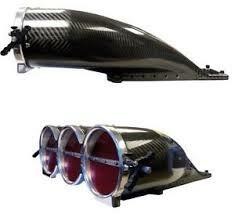 These are a great fit for a larger supercharger or to fill up the space created by your hood opening or??? 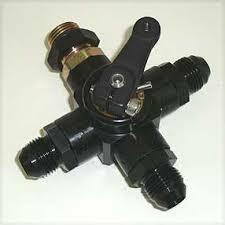 We can supply them with arms & stops and you add your components or we can sell them complete, ready to start. One thing is for certain, we can sell for less and we can also provide the right parts the first time...I guess that is 2 things, either way, you come out the big winner. Call 402-597-3242 to order your brand new Enderle buzzardcatcher injector today! Enderle knocked it out of the park with this one...they now offer acarbon fiber injector with 5- 9/19" butterflies. You have the option of an all black unit, or an aluminum face on your carbon black injector. The prices for a partial (with arms & stops) is 3359.00 and a complete one with K-Valve and your choice of nozzles and lines is 4139.00. 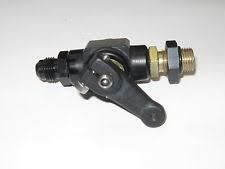 Call 402-597-3242 to order the latest in carbon fiber design fuel injectors. Thanks again for looking. Nothing is quite as impressive as the polished aluminum Big & Ugly except for the Short & Ugly. We can offer them as partial, with arms & stops...you just add your barrel valve and lines/nozzles, or we can sell it complete, fully loaded and ready to start...your call. The partial is 1529.00 and the complete is 2313.00. The complete unit comes with a K-Style barrel valve, and you get your choice of alcohol or nitro spool and all nozzles, hat lines, and distribution block with your choice of fitting to feed it. Call 402--597-3242 to order yours today. Another spin on an already perfect design...the Enderle Big & Ugly/Short & Ugly with the slightly smaller 5" butterflies. These are a great replacement for the standard buzzardcatcher because they have the same size butterflies, so there isn't much difference in tune-up. The Big/Short 5" version with arms & stops is 1544.00 and the fully loaded version with your choice of K-Style barrel valve is 2329.00. Call 402-597-3242 to order yours today, and remember we can have it set up race-ready for a simple bolt on and go installation. New to the Enderle line-up of Big & Ugly injectors is the 4.375" butterfly version. This is the same size butterflies as used in a standard Enderle birdcatcher injector with the look of a taller Big & Ugly injector. The starting price for a partial unit (with arms & stops) is 1259.00 and you can get anything from blown gasoline or alcohol to a tunnel ram version for a mere 2040.00...the lowest price I have found online so far. Call 402-597-3242 to get yours today. 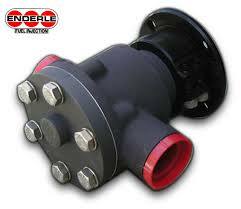 One of the most popular sized shutoff valves made is the #6 AN Enderle 3 way fuel shutoff valve. We have them for less and we can also supply all of the accessories you need like over cener spring kits, extra arms or special adapter or reducer fittings. One call does it all...402-597-3242 and ask to one of our fuel injection experts to get everything you need for your Enderle or similar fuel injection setup. 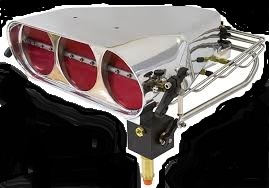 We already know that Enderle has this fuel shutoff aspect covered, and this is no exception...if you have a racecar that either needs to use fuel management, or a steady source for a return to lower the volume, you need a 4 way fuel shutoff valve. While it functions exactly like a 3 way valve, the 4th line is a steady supply of fuel away from the pump to either arm a fuel management system or to use as a pump loop or main jet source. Of course you can use it for anything you like or have it in case you plan to add to your system at a later date. These also work well with diesel fuel for the folks with pulling trucks and tractors. Prices start at 140.00. Call 402-597-3242 for ore info. 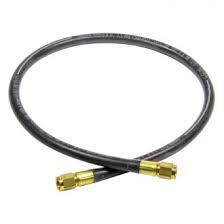 Enderle Rubber #3AN Fuel Injection Lines 6" Thru 34" 15.55 Ea. Brand new Enderle rubber #3 AN hat and port nozzle lines for sale. Lengths vary from 6" thru 34" Straight fitting on each end. If you want a 90 degree they are 26.25 each We can supply everything else you need from nozzle bodies to jets and so much more. We are eve of the information you need to build or finish your project. Call 402-597-3242 to speak to one of our fuel injection experts...operators are standing by. 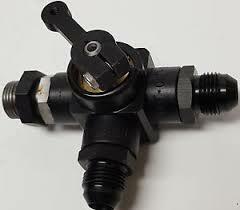 The heart of any fuel injection setup is the metering valve, or more commonly referred to as the "Barrel Valve". We sell every version of this valve that Enderle makes, and with prices starting at 279.00 we have them for less than the competition. 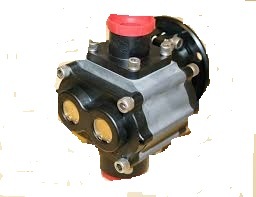 call 402-597-3242 to get the exact metering valve for your specific application. Enderle scre in nozzle jets are available in sizes from .016 thru .110 in almost any increment. The standard jets are 5.39 each and Enderle offers a fully flowed jet (used primarily in unblown applications, but will work anywhere) and they are a couple dollars more at 8.29 per jet. Besides offering the lowest prices arond on this item...we can also offer a tune-up or nozzle arrangemet reccomendation at no extra charge. Call 402-597-3242 for your Enderle needs. Enderle screw in main jets, or bypass jets are the industry standard for everything from fuel management to use in hydraulic clutch con to??? They range in size from .020 thru .200 diameter orifice. 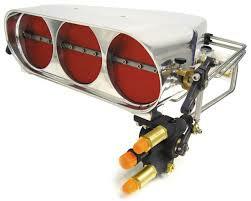 Priced at 3.95 each, they are a very accurate and inexpensive way to build a fuel system. Call 402-597-3242 for more information and thanks for looking. 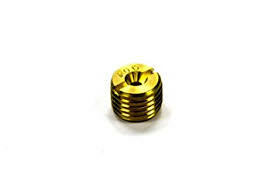 Cavalieri Racing Equipment Co offers the Enderle brass #6 check valves in just about any pressure from 2PSI thru 160PSI for one low price...38.00 each. Of course, we sell all of the items you might need such as shims, springs, poppets and o-rings to either modify, adjust or repair your current valves. Call 402-597-3242 to order yours today. Enderle offers a wide variety of #8AN check valves and hi speed pressure relief valves, and they are 57.00 each (add 2.00 for high pressure 150# & Up). You have a choice of inline AN flare on each end, or a flowed version that is used in port checks as an example or any combination of both. We also provide all of the service items such as shims, springs, poppets, bare housings or threaded short end...anything Enderle sells...we sell for less, call 402-597-3242 for more info or prices. 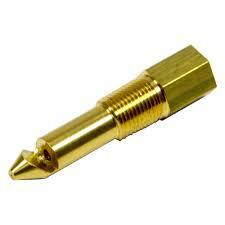 Enderle Screw In Nozzle Bodies Brass or Alum. Starting @ 9.49 Ea. Enderle screw in nozzle jet bodies come in a wide variety of designs and aerated/non-aerated versions. You get a choice of brass or aluminum and long, short or in betwwen. 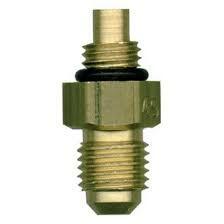 This price is for any Enderle nozzle body they sell (add 7.70 each for ball check nitro nozzle bodies). 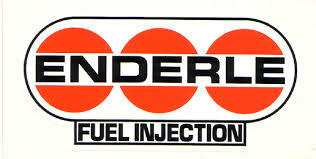 Call 402-597-3242 for all of your Enderle fuel injection needs. We offer free technical support and the lowest prices on the net. Enderle offers a wide variety of precision machined aluminum 4, 8 & 12 port distribution blocks. 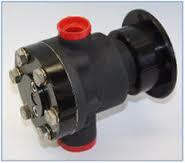 They are available for a port application or hat block for your injector or for 4 cylinder engine applications. Check out the prices and call 402-597-3242 to order yours today.